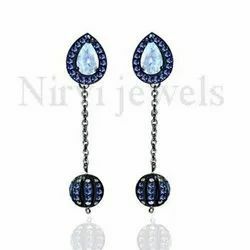 Our product range includes a wide range of sapphire earring, smokey earring, yellow sapphire earring, blue sapphire earrings, multi sapphire earring and turquoise ball earrings. 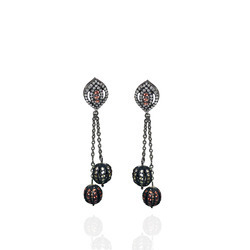 925 Sterling Silver Designer Ball Earring Studded with Single cut Diamond, Orange Sapphire & Yellow Sapphire. Packaging Details: Our Articles are packed in Plastic bag covered with bubble wrapping and in steel box. Every Article is handle and delivered with care. 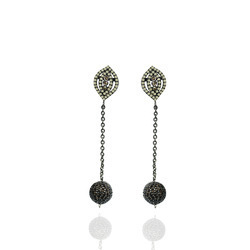 925 Sterling Silver Designer ball Earring Studded with Single Cut Diamond & Smokey Quartz. 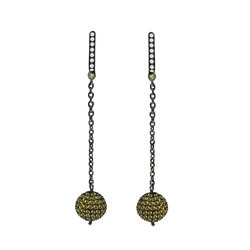 925 sterling silver Designer Ball Earring studded with Single Cut Diamond & Natural Yellow Sapphire. 925 Sterling Silver Ball Earring Studded with Orange Sapphire, Savorite & White Topaz.